Simple guide to HARPTA – why Hawaii withholds money on your property sale and how to get it back quickly. What is HARPTA and why does Hawaii keep my money? When you live out of state and you sell property in Hawaii, the transaction may be subject to tax withholding. Hawaii Department of Taxation will want at closing, 5 percent of the sale. Update: Any property dispositions on or after the 15th of September that do not qualify for an exemption will now be subject to a 7.5% withholding rate. This is not a “tax” – it’s a withholding. It’s like a “deposit” or a “retainer” to make sure you file and pay the required Hawaii Income, General Excise, and Transient Accommodations Taxes, as applicable. The amount withheld is only a rough estimate. If you have no gain at all on your Hawaii property sale, for example, and you are current on your GE and TA taxes you might get ALL of these withholding back as a refund. However if you DO owe capital gains, General Excise, and/or Transient Accommodations taxes, then it is possible that you might actually owe MORE tax than the amount withheld. Will I owe tax to Hawaii on the sale of my Hawaii Property? When you sell property, you have to figure the proceeds of the sale as compared to the adjusted basis of the property. You also must income any depreciation recapture, if this is applicable. Generally, you include the purchase price, purchase expenses, capital improvement, step-ups in basis due to the passing of an owner or any like kind exchanges, allowable depreciation recapture, the selling price, the selling expenses, and any regulatory gain exclusions to figure out your capital gain or loss on the transaction. That’s actually the short and simple list. As you can see, it’s a bit complicated. We STRONGLY recommend that you have your tax professional figure this out for you, especially if the property was ever rented out to others. Hawaii imposes a General Excise Tax on all rents received. This tax is paid periodically and involves filing tax returns and paying the tax. This tax, and the required forms, are TOTALLY SEPARATE form your income taxes. Also, if your rental activity was short-term, such as in vacation rentals, it was likely subject to the Transient Accommodations Tax as well. If you have not been filing these tax returns and paying these taxes and Hawaii knows about this, they will hold on to the HARPA withholding until you get back in good standing. You will have to file these tax returns and pay these taxes, including late fees and penalties. Even if Hawaii does not yet know that you owe these taxes, it is recommended that you come forward and pay these taxes if you owe them. 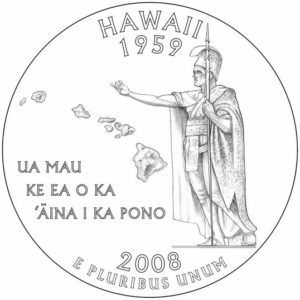 Hawaii imposes stiff additional penalties for those that know about the tax but still decide to willfully ignore them – and there is generally no statute of limitations on unfiled tax returns. In cases where you paid all of your GE and TA taxes and your capital gains owed to Hawaii, and the income tax owned to Hawaii on computed capital gains are less than the amount withheld, you can file for a refund of the HARPTA withholding. You do this by filing a non resident Hawaii Income Tax form known as Form N15. This might require some waiting. Let’s say you sell your property in March. The N15 tax form for that year will not be available until January of the following year – just like most income tax returns. Fortunately, Hawaii also offers form N-288C, which can be completed and filed to get your money back much sooner. Please feel free to hire us to calculate your gain and prepare form 288C for you – we would be honored to help. You can contact us on our home page here. You can also give us a call at (808) 744-5314 or fill out this contact form. We use secure and simple to use tools to where we can quickly and easily get this done online for you. Please note that Hawaii is not so often willing to give up large sums of money without substantiation. There is a good chance that they will examine (audit) your claim for refund, forcing you to provide proof of adjustments to your cost basis, such as capital improvements. Our services only include the preparation of the forms. Representation and help in the event of an audit is not included and is not a service that we are able to offer at this time. Question, what if the owner of a property that sells had lived in the house for 2 years of the last 5 years but currently does not live in the house. The owner lives in another state but still holds a Hawaii driver license. Will the owner have to pay HARPTA or have the Harpta withheld? Unfortunately we can’t give tax advice for this question to non-clients without first going over and understanding your entire situation, setting up a client/accountant agreement, and disclosing our privacy policies. The answer to your specific question is “it depends” – and going over your entire situation takes time and work – for which we charge $150. We have taken our case to appeals….. they denied case because we didn’t have our bookkeeping records in the format they required…. It was impossible to go back to 2001 (sale of property in 2016)….. but we did have bank statements and proof of capital improvements. What would our next step be? Our HI accountant believes we have a court case? Hello – I’m sorry you are having these issues with the state. In my opinion, your best bet would be to get a lawyer who specializes in these things. We can refer you if you like – please email us at taxservicesoahu@gmail.com and we will tell you who we like.